Joseph and Marie Leinacker Stadler on their wedding day. The other people in the photograph are Anna Leinacker and C. Etzel. 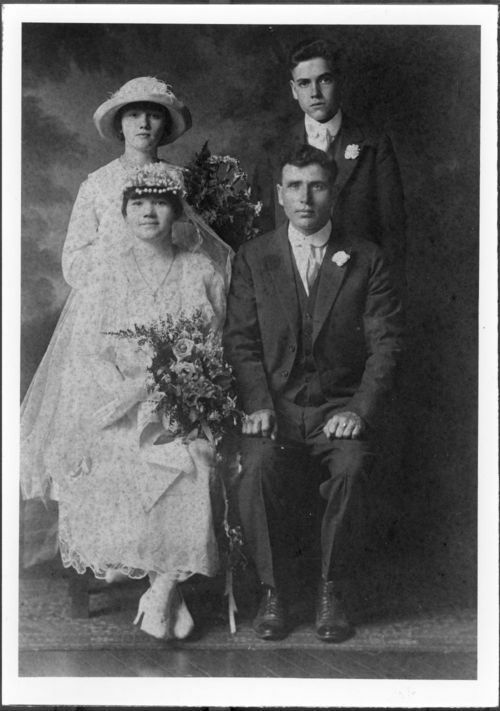 The Stadlers were married in 1917, and they settled in North Topeka on Highway 24. Joseph Stadler came to American from Prussia around 1910, and Marie came from Prussia around 1900. He owned a shoe repair shop and worked for the Atchison, Topeka & Santa Fe Railway.